There are over 7,500 cultivars of apples and about 100 are commercially grown. McIntosh apples bruise more easily than other apples and should be handled with care. They are small to medium sized and round in shape. The flesh is white, juicy, sometimes tinged with green and pink soon becoming soft. It’s very juicy and slightly tart in flavour. John McIntosh discovered the original McIntosh sapling on his Dundela farm in Upper Canada in 1811. In 1870, it entered commercial production. 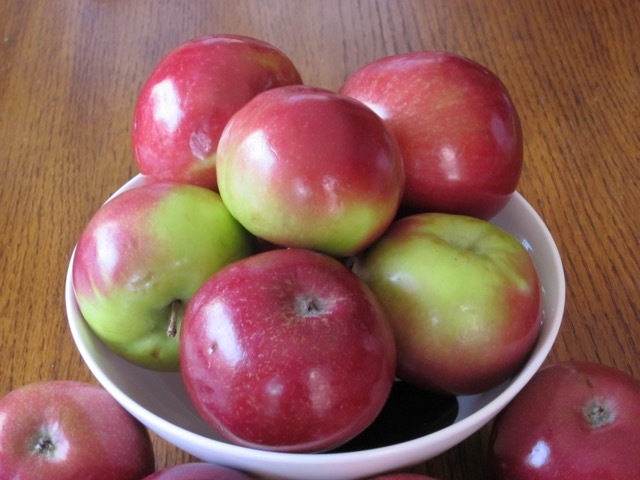 Nutritionally apples are a source of the soluble dietary fibre, pectin. An average apple (140g, 5oz ) has 68 calories. 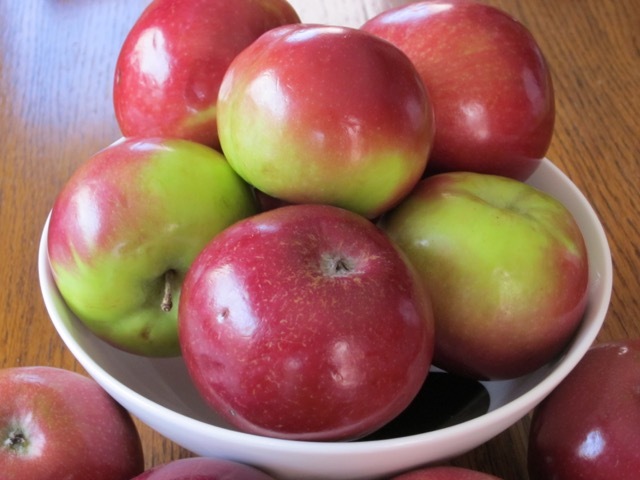 McIntosh is an all-purpose apple that can be eaten fresh, cooked or dried. Cooking results in an exceptionally smooth texture that may not appeal to some people. It’s primarily used for dessert because it cooks faster than other cultivars. Storage: McIntosh can become mealy when stored below 2ºC (36ºF). Season: September to spring the following year. I grew up with macs but now there are so many other apples I like more. I don’t really like macs. They are definitely not my first choice! Not really my most favourite, but they’re nice and are sold here in plenty! We just bought a big bag yesterday, for applesauce. 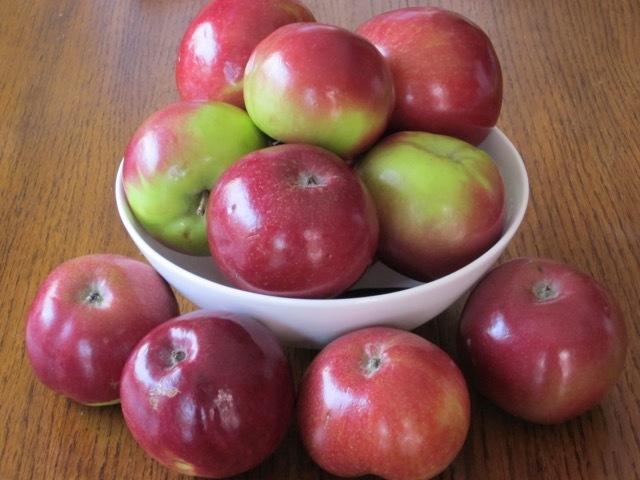 For snacking, I like a tarter, crisper apple but Macs are a good standby! Not my fav. but they’re okay. I love royal gala and golden delicious and granny for cooking! I miss McIntosh apples so much, and when I go back to Canada for a visit, I eat my weight in them. They still taste like they did 50 years ago. They are the most sold apples in my local store. They sell them in huge bags. Enjoy your weekend! Great information about the macs Liz!